Sports Show Team has Compiled This List with Great Amount of Research. Hope You Will Enjoy Reading. The game of pool, which is formally known as pocket billiards mainly in North America, or even as pool billiards mostly in Australia and Europe, is one of the most stylish and sophisticated indoor games in the world. It belongs to the family of cue sports and games. Played on a pool table with six receptacles or pockets along the rails, this game has some popular versions, such as eight-ball and nine-ball. Six-pocket, on the other hand, is an obsolete version. In fact, there are hundreds of pool games, some of which are formed by hybridizing aspects of pool and carom billiards. Here is a list of the Top 10 Best Pool Players of All Time. Let’s take a look at their achievements. American professional pool player Ronnie Monroe “Fast Eddie” Allen was regarded as a pool “super star” in the prime of his pool-shooting career. He is noted as a “one pocket specialist” and is inducted in the tenth place in our list of Top 10 Best Pool Players of All Time. He was the most dominant one pocket player in the world from 1960s to 1980s. Fast Eddie was cited by Hall of Famer Eddie Kelly that “Ronnie Allen was the best one pocket player I ever played“ and legendary Minnesota Fats said of Ronnie Allen that “Anybody who plays him for money ain’t got no chance at all.” For his immense contribution to the pocket billiard game of one pocket, Fast Eddie was inducted in the One Pocket Hall of Fame in 2004. American professional pool player Cecil P. “Buddy” Hall was heralded as a “living pool legend” by The International Pool Tour and is the ninth place inductee in our list of Top 10 Best Pool Players of All Time. He is nicknamed “The Rifleman” for his amazing accuracy and was one of the most dominant forces of pool for nearly three decades. Buddy is also noted for creating the “clock system” which is “a technique for where to hit the cue-ball, using the clock as a mechanism for where to aim” according to PoolVideo.com. He was named Player of the Year by The National Billiard News and Pool and Billiards Magazine three times and is currently a member of the International Pool Tour. Buddy Hall was inducted in the Billiards Congress of America’s Hall of Fame in 2005. American professional pool player Johnny Archer was ranked third in the “Fans’ Top 20 Favorite Pool Players” poll by the Pool & Billiard Magazine in 2007 and is the eighth place inductee in our list of Top 10 Greatest Pool Players of All Time. He is nicknamed “the Scorpion” as one of his sponsors is Scorpion Cues and also because his zodiac sign is Scorpio. He is one of the most successful nine-ball players of the last two decades. Archer won the WPA World Nine-ball Championship two times in 1992 and 1997. He won the Sudden Death Seven-ball and the first World Summit of Pool in 2003. He also achieved the 2006 $50,000 winner-take-all International Challenge of Champions. Archer was inducted in the Billiard Congress of America Hall of Fame on June 8, 2009. First ever U.S. Open 9-Ball Champion! RETWEET FOR MIKE! American professional pool player Mike Sigel has won over 102 major pool tournaments in his active career and is the 7th place holder in our list of Top 10 Best Pool Players of All Time. He was nicknamed “Captain Hook for his ability to use safety plays to hook his opponents. Sigel achieved the title of US Open Nine-ball Championship three times and won the world pocket billiard championship five times. He was named “Player of the Year” by Billiards Digest and Pool and Billiards three times till now. He became the youngest ever to be inducted into the Billiard Congress of America Hall of Fame at the age of 35 in 1989. Sigel was placed in the fifth position in the list of “50 Greatest Pool Players of the Century” by the Billiards Digest. He was inducted into the International Jewish Sports Hall of Fame in 2011. American professional pool player Earl Strickland, nicknamed “The Pearl”, is widely considered by many as one of the best nine-ball players of all time and is the 6th place inductee in our list of Top 10 Greatest Pool Players of All Time. Besides his numerous championship titles, Earl is also known as one of the most controversial players for his outspoken views and volatile behavior. He won the U.S. Open Nine-ball Championships five times and is the only player to consecutively win the WPA World Nine-ball Championship twice. Strickland recently won the Turning Stone XXI 9-Ball Championship in 2013. He was inducted in the Billiard Congress of America’s Hall of Fame in 2006. 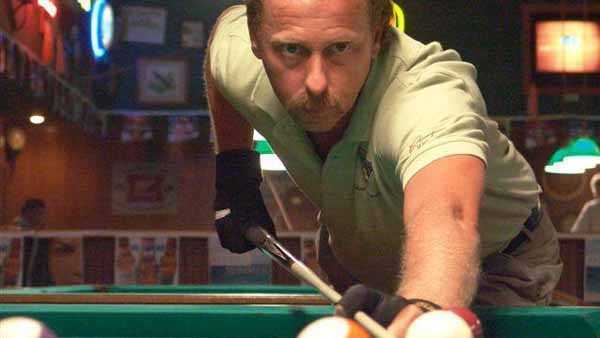 Earl Strickland is ranked sixth in the “Fans’ Top 20 Pool Favorite Players” poll by the Pool &amp; Billiard Magazine in 2007. World-renowned American pool player Luther Lassiter, nicknamed Wimpy, is well known for his wizardry in the game of nine-ball and is the fifth place holder in our list of Top 10 Pool Players of All Time. He is considered as one of the greatest pool players of all time and was the winner of six world championships and numerous other titles. He was inducted in the Billiards Congress of America’s Hall of Fame in 1983 and also inducted into the North Carolina Sports Hall of Fame the same year. Luther Lassiter was ranked number 9 on the list of “50 Greatest Players of the Century” by Billiards Digest. He was noted as the undisputed king” of the pool hustlers in his heyday and won over $300,000 from gambling on pool games between 1942 and 1948. Luther Lassiter won $15,000 in a single week which made him a folk hero in his own country. 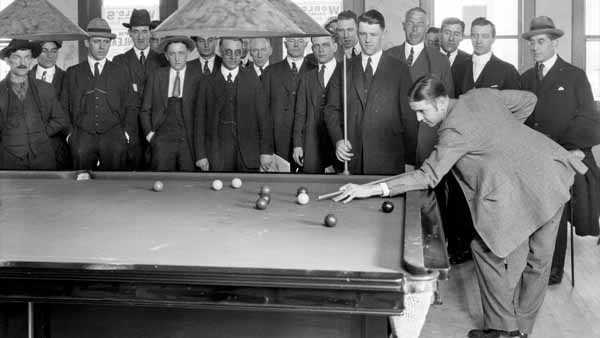 American professional pocket billiards player Rudolf Walter Wanderone, famously known as “Minnesota Fats”, was perhaps the most publicly recognized pool player in the United States. He is widely considered not only as an amazing pool player but as a complete entertainer, and is inducted in the fourth place in our list of Top 10 Best Pool Players of All Time. He started playing pool at a very young age and became a traveling pool hustler in his teenage days. Minnesota Fats hustled servicemen in Norfolk during the World War II and eventually became a folk superstar. The nickname “Minnesota Fats” was adopted from a character in the 1961 film The Hustler which was claimed to base upon him. He was inducted in the Billiard Congress of America Hall of Fame in 1984 for his contribution of popularizing the pool game all over America. 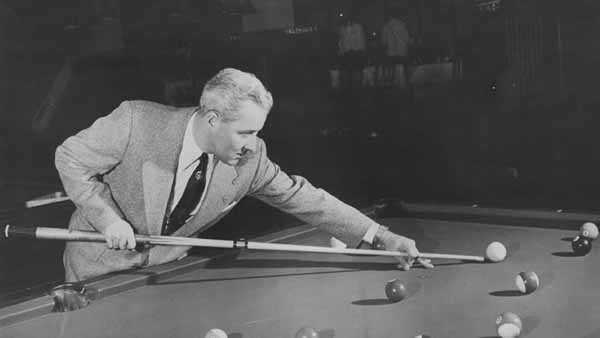 American professional pool and pocket billiards player William Joseph Mosconi won the World Straight Pool Championship an unmatched fifteen times between 1941 and 1957, and is the third place achiever in our list of Top 10 Pool Players of All Time. He was nicknamed “Mr. Pocket Billiards” and has pioneered and employed numerous trick shots. His name was synonymous with pool in North America and his contribution is noted to popularize pool as a national recreation activity. Mosconi holds the world record of officially recognized straight pool high run of 526 consecutive balls. He is one of the first three inaugural inductees in the Billiard Congress of America’s Hall of Fame in 1966. Mosconi was the technical advisor of the Paul Newman starring 1961 film The Hustler which played a leading role in the boom in the popularity of pool. American professional pool and carom billiards player Ralph Greenleaf was a most dominant pool player in his heyday due to his ability and charisma, and is the second place inductee in our list of Top 10 Best Pool Players of All Time. The New York Times, in his obituary in March 1950, stated, “What Babe Ruth did for baseball, Dempsey did for fighting, Tilden did for tennis…Greenleaf did for pocket billiards.” Greenleaf was a twenty-time World Pocket Billiards Champion and mainly contested in the game of straight pool which varied in format from contest to contest during his days. He was one of the first three inaugural inductees in the Billiard Congress of America’s Hall of Fame in 1966. Ralph Greenleaf was placed in the third position in the list of “50 Greatest Players of the Century” by the Billiards Digest Magazine. Filipino professional pool player Efren Manalang Reyes is widely considered by many pundits, fans and former players as the greatest pool player of all time, and he also holds the top place in our list of Top 10 Greatest Pool Players of All Time. He is the first pool player to win World Championships in two different disciplines and is a title holder of 70 international championships. Efren won the Derby City Classic championship 14 times, World Pool League championship twice and World Cup championship twice in his active career. He was considered a top-class player in his native country during 80s and moved to U.S. for hustling after which he won $80,000 in a week. Efren became the first Asian inductee in the Billiard Congress of America’s Hall of Fame in 2003. He was placed in the second position in the poll of “Fans’ Top 20 Favorite Players” by Pool &amp; Billiard Magazine in 2007. Pool players are treated with utmost respect because of their skill, precision, focus and patience, all of which are crucial qualities in a person for him to become a good pool player. But, apart from the qualities, there is also something else about the pool players. They ooze elegance and finesse, and have an air of refinement and poise, which are aspects associated with the port itself. let Sports Show Editorial Team know about your thoughts about Top 10 Best Pool Players in comments box below.